Wolfsburg – There is no doubt that VfL Wolfsburg are among the major winners of the first half of the 2014/15 Bundesliga season. A club record 34 points, second place and a berth in the last 32 of the UEFA Europa League, not to mention a six-point cushion over third-placed Bayer 04 Leverkusen saw the Lower Saxony club exceed even their own expectations in the first four months of the campaign. Wolfsburg's defenders are the most prolific in the league with 10 goals, thanks in no small part to , who has netted five. With 11 goals from set pieces, no other side has been so dangerous from dead-ball situations. Only one goal has been conceded on the counter-attack – fewer than any other side. Only Gladbach failed to take more of their clear-cut chances (19) than Wolfsburg (17). Wolfsburg's forwards may have been good at scoring, but they did not provide a single assist all season. 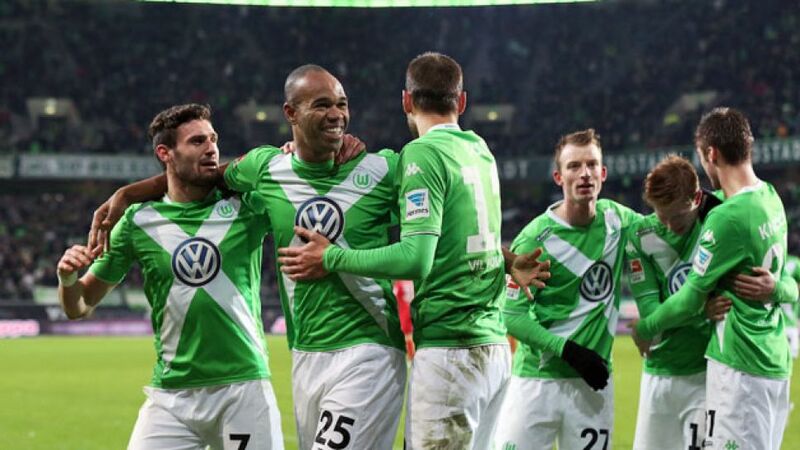 Wolfsburg have conceded four goals from crosses – more than any other team. "Since we're now second in the table, of course we've got to go for it – we'd be stupid to say we have any other objective." Thanks to a sensational performance from Ricardo Rodriguez, who scored two, the Wolves dictated the game from start to finish, showing a level of dominance rarely seen before from a side who had not won all season until then. A fortnight later, they started a run of six straight wins.